Randy Wray’s Heating and Cooling has been North Alabama and Southern Tennessee’s trusted comfort specialist since 1988. We will give you the best in service, quality, and craftsmanship on every call. 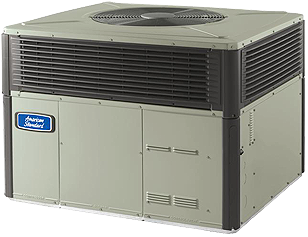 We provide 24-hour emergency HVAC/R services for the residential, commercial and industrial communities in Ardmore, Athens, Madison and surrounding areas. Randy Wray’s Heating and Cooling is a family owned and operated business. We are life long residents of Limestone county, and we have more than 50 years of experience in the industry. We opened this business so that we could give our neighbors quality and trustworthy services at a fair price. We Want You To Be 100% Satisfied With The Service You Receive! Randy Wray: Randy started Randy Wray’s Heating and Cooling in January of 1988 after studying HVAC/R at LCCTC for 3 years and working as a service manager for 5 years in the industry. He is state certified in heating and cooling as well as refrigeration. He also holds his EPA certification. Nick Wray: Nick is Randy’s eldest son. He’s been around the HVAC/R business his entire life. He studied HVAC/R for 3 years at LCCTC, where he won numerous first place awards including local and state as well as a first place national win in HVAC/R his final year. Nick is state certified in heating and cooling as well as refrigeration. He also holds his EPA, ARI, and TracPipe certifications. Matt Wray: Matt is Randy’s youngest son. Just like Nick, he grew up around the business. He took HVAC/R for 3 years at LCCTC where he won several awards including a first place state and 7th place national finish in HVAC/R. Matt is EPA and ARI certified.